It’s that time of year – the leaves are changing colors, the temperatures are cooling down and we’re entering into the fall – where the nights are longer and colder. 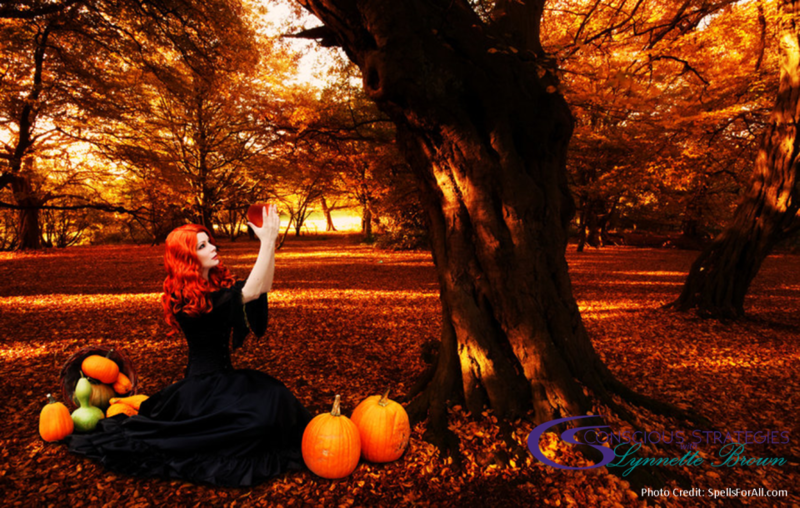 What better way to celebrate this transition than Halloween, sugary treats and a trick or two? Back in the days of the Celts they celebrated Samhain (pronounced sow-in), which was a festival to mark the end of summer and the beginning of darkness. They believed the night before their “new year”, November 1, the boundary between the worlds of the living and dead would be blurry, so On October 31, the ghosts of the dead returned to earth. They thought ghosts roaming the earth would allow them to more easily access predictions and fortune telling for the future. They built huge bonfires and wore costumes to mark the occasion. When the celebration was over they would take embers and fire from the bonfires and light the fires in their homes to protect them all winter. In Mexico, they celebrate Day of the Dead – Dia de los Muertos. They believe the gates of heaven open up at midnight on October 31st and the spirits of all deceased loved ones are allowed to reunite with their families for 24 hours. They make huge altars covered with breads, foods, and other delicacies. Including decorating with sugar skulls. 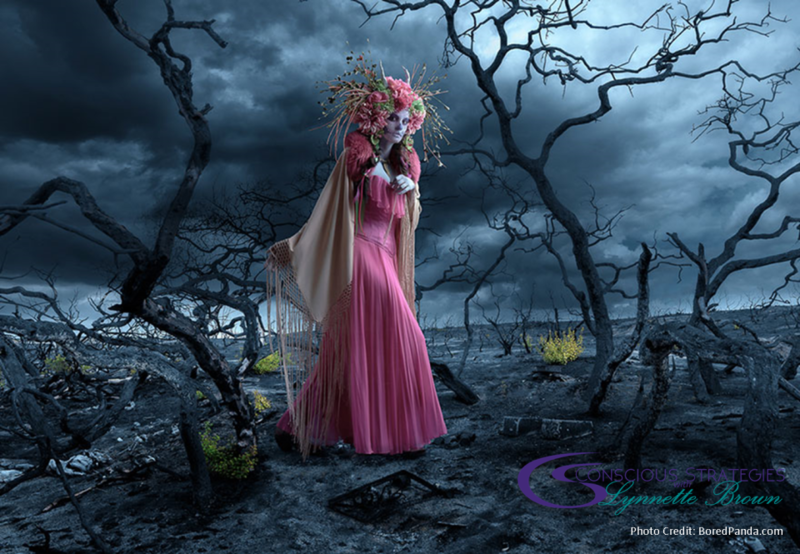 While they may look scary to some – they are meant to be cheerful and full of joy – portraying love and joy of a departed loved one. 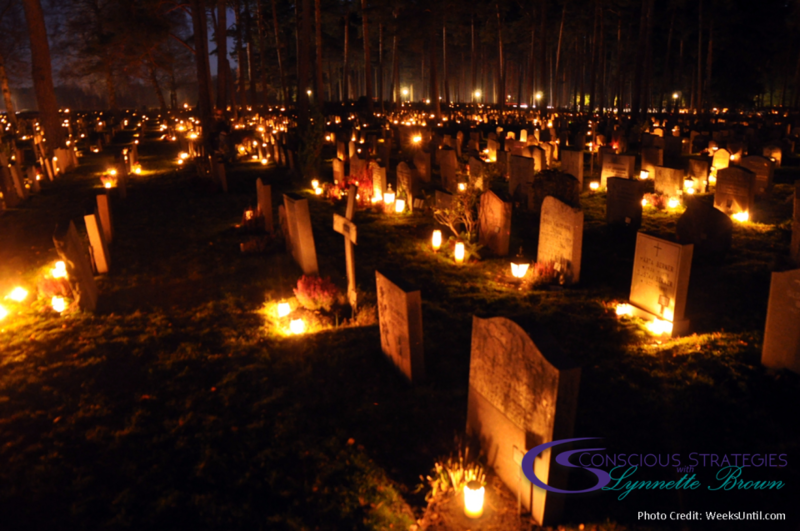 And we can’t talk about this time of the year without All Soul’s Day – dedicated by the Catholics to represent and coincide with Samhain in remembering all those who have transitioned. So regardless of your background – this time of year is about preparing for the longer nights and more darkness. As a child growing up in the south it wasn’t really fall for us until Halloween. Mainly because our temperature doesn’t cool off until November (if we’re lucky) and there’s not much fall foliage. Despite the traditions of Halloween and their origins, we here in the US have created it to be an occasion for fun and delight with friends and neighbors. What I love about it is the creative costumes and the delight kiddos get when they come to the door screaming “Trick or Treat”. You see they know they are going to get a TREAT! 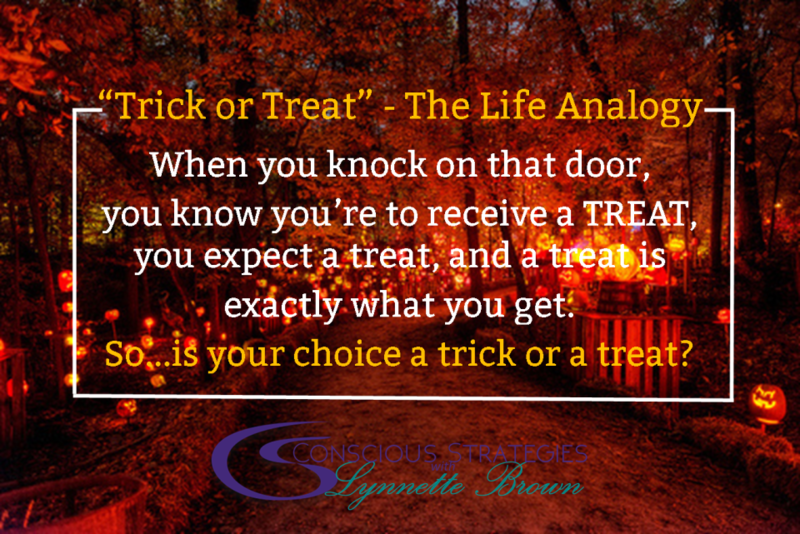 It’s a great analogy for our lives – what we expect to get when we knock on that door – is exactly what we will get – so is your choice a trick or a treat? 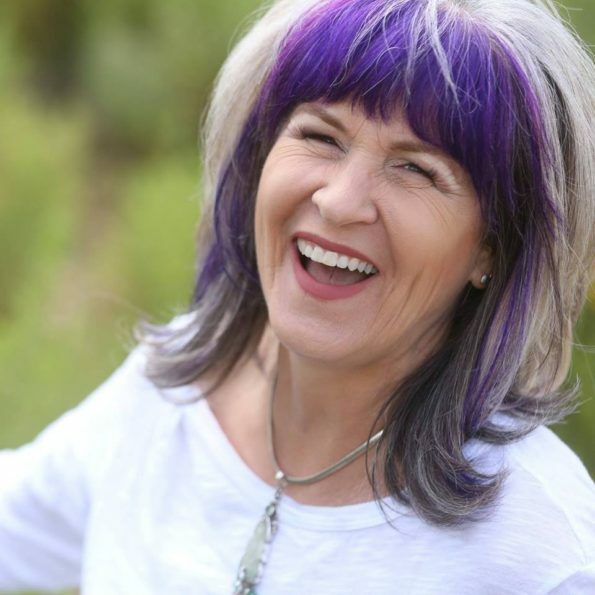 How many times have you experienced contrast, challenge and wanted to scream “Why is this happening?” You’ve done your inner work – your meditations, your visualizations, but things don’t seem to be shifting. Perhaps that’s because you are expecting a trick vs. a treat. Stop and be present to your thoughts throughout your day. They will inform you on your focus on the treats or the tricks. And if you find your focus on the tricks vs. the treats, you may want to consider hiring a coach to support you in staying in the treats lane. Have a happy Halloween, Dia de los Muertos and All Soul’s Day!